Canadian Lead and Alloys Ltd. 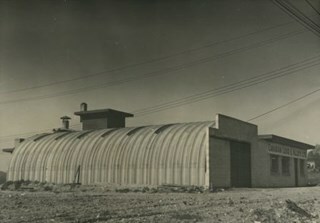 Photograph of the exterior of the Canadian Lead and Alloys Ltd. building at 2345 Douglas Road. 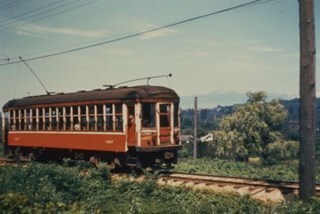 Photograph of Tram #1228 on the Burnaby Lake Interurban line, at Ardley station, crossing Great Northern Railway tracks. 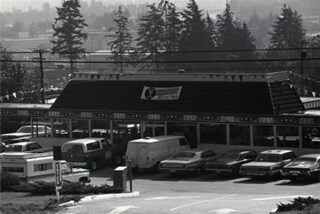 Photograph shows Captain George's Family Restaurant at 5180 Lougheed Highway. 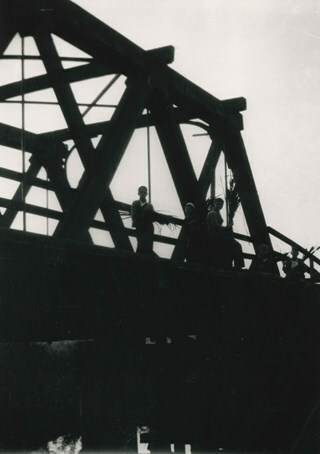 Commercial Steel and Metals Ltd. 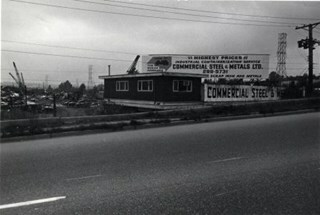 Photograph shows Commercial Steel & Metals Ltd. located at 2561 Willingdon Avenue. 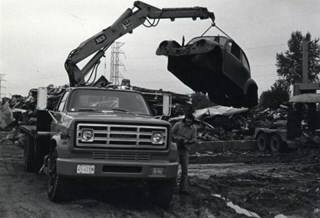 Photograph shows an employee of Commercial Steel & Metals Ltd. at work with a truck and crane. 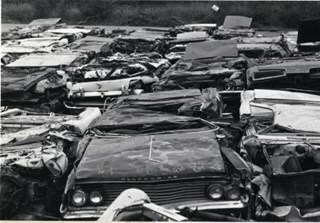 Photograph shows a scrap cars in the lot at Commercial Steel & Metals Ltd. 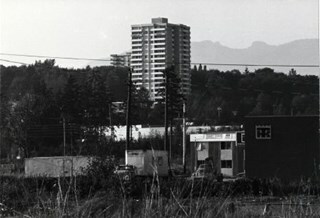 Photograph shows a view of Vantage Point Highrise at Lougheed Highway and Bellwood Avenue with Trans-Cold Refrigeration on Douglas Road in the foreground. Photograph of a nighttime fire at Lumberland, located at 5650 Lougheed Highway. Joanne Farmer and family lived at 5510 Buchanan Street, 2 blocks above the Lougheed Highway. 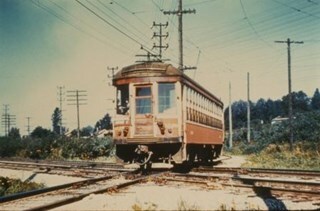 The slide was processed in Canachrome by Mortifee. 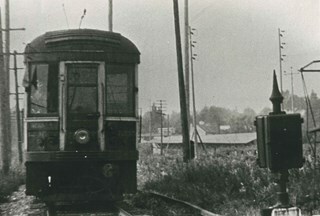 Handwritten text in ink on slide frame reads: "Lumberland / Aug 24 /70". Handwritten text in ink on slide frame reads: "Lumberland / Fire Aug 24 /70". Handwritten text in ink on slide frame reads: "Lumberland Fire / Aug 24 /70".